The update has been nicknamed “Possum,” because businesses are often filtered out of search results. This causes the business owner to think their listing has been removed, even though it is only being filtered (or playing possum). 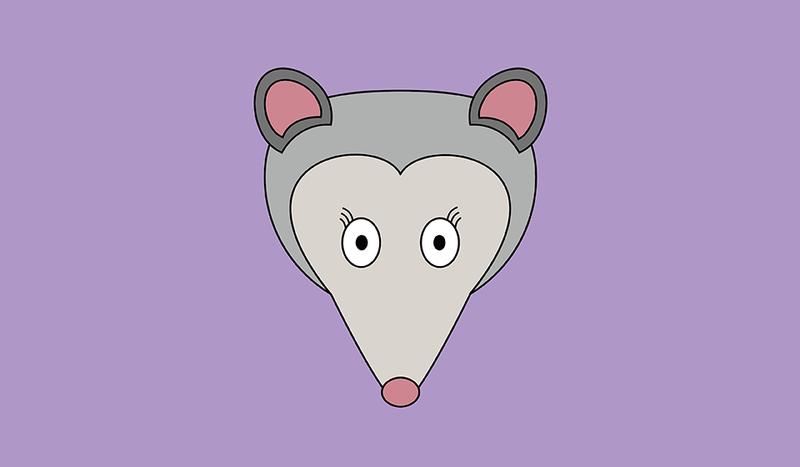 What is the "Possum" algorithm update? As I mentioned, "Possum" is an update to Google’s local search rankings algorithm, and it decides when businesses will show up in local search results, sometimes filtering business listings out of search results. This means that some local businesses might not always appear for the same search. The update will filter out similar listings for an industry and location in the same way it would normally filter out a business’s second listing. This would happen if you have more than one Google My Business page, or if your listing was duplicated because of a change of NAP (name, address and phone number). Google is taking this a step further, though. 1. Businesses outside the city limits. It used to be difficult for local businesses to show up for location-based keywords if they weren’t based inside that location. For instance, if a pizza place was located just outside of Granville, it used to be difficult to get that business to show up in searches for “pizza Granville.” The "Possum" algorithm update has changed this though. Now, businesses can show up for those types of searches even if they are slightly outside of the city or town for which they want to show up. 2. Businesses that are located at the same address (or in the same building) as a similar business. If two similar businesses are located in the same building, they probably won’t show up in the same search. For instance, if two dentists are located in the same office building (even if they aren’t affiliated with each other or at the same practice) they probably won’t show up for the same search. Google has always tried to filter out duplicate listings (if your business has more than one listing on Google My Business or if three doctors work in the same practice, each doctor has their own listing and the practice has its own listing). Now, though, they’re going a step further. 3. Businesses owned by the same parent company. We aren’t sure if this will be the case for every business, but one local SEO expert found that a dentist who had two offices within the same city had one of their offices filtered out of the search results each time he performed a search for them. This is probably because, even though the two offices had different NAPs and websites, they were owned by the same parent company. One final thing to mention about these changes is that if your business is being filtered, you can often fix this by zooming in on the map. Give it a try! What’s changed for the local search results? Because it seems Google may still be testing the algorithm and the way local businesses show up (or don’t) in search results, there’s really no way to say for sure that we know this is how the search results will be forever. Google likes to change things up on us from time to time, so this could change, or Google could tweak the algorithm as they test it. What does "Possum" mean for local businesses? While the "Possum" algorithm update may be filtering businesses out of the local search results now, it does seem that Google is still testing and tweaking the algorithm. That said, now is the time to work on your local search marketing strategy. Google may be filtering businesses out of some searches, but you can take steps to make sure your business is found by consumers. Clean up your local citation information. Make sure your business doesn’t have duplicate listings or incorrect information online. If you do, you are more likely to confuse Google and other search engines. If your information is accurate, you may have a better chance of showing up than your competition, especially if their information isn’t accurate. The "Possum" update seems to have put a greater importance on relevance. If Google is filtering certain businesses out of the search results, the businesses that show up are likely the ones with more relevance. How can you prove relevance? One way to prove relevance is to make sure your local citation information and categories on listing pages (like Google My Business, Yelp, Yahoo! Local, and Bing Local) are correct and relevant. Build new local citations and clean up existing listings, removing duplicates and incorrect information. Another way to get more relevance is in online reviews. For instance, if you have more reviews with business-related keywords (think reviews that say “best pizza in town” or “my favorite pizza place”) you are more likely to show up for relevant searches. How can you get more reviews? Ask for them! Local businesses need a well-rounded local search marketing strategy that includes building citations, getting new reviews, social media marketing and content marketing. The more (accurate) information you give search engines about what your business does, the better chance you’ll have of showing up for relevant local searches.